Any perennial golfer would tell you that a golf stand bag is an essential component of the game. In fact, you can switch among the clubs and the golf balls through the game but there is one thing that tends to remain a constant. Your bag! Talking of bags, a golf stand bag is specially designed to give a golfer storage space and fast access to what they need, as they play. In other words, you need a stylish and feature-rich golf stand bags for a comfortable golfing experience. But, which golf stand bag should you go for in the market? To help you find the best from the rest, we will do an in-depth review of some of the leading golf stand bag models in the market. We will also tell you what to look for when shopping for a golf stand bag. Let’s get to this review, shall we? 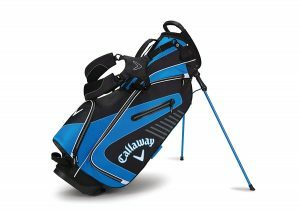 The Callaway Golf Capital carry bag is an excellent choice for those looking for a stylish stand bag with tons of spaces to use as you move around. In fact, one of the things golfers love with this bag is the plethora of pockets tailored for different functions. Before delving deep into the product reviews, here is a quick comparison chart featuring a side by side view of the best golf carry bags in the market. The Callaway Golf Capital Stand bag is an excellent choice for those looking for a stylish stand bag with tons of spaces to use as you move around. In fact, one of the things golfers love with this bag is the plethora of pockets tailored for different functions. There are 5 pockets to be precise including one for your valuables, a full-length apparel pocket, a sleeve to hold a drink, glove pocket and a full-size golf ball pocket. The 5-way divider system used in the design is marvelous in protecting golfing clubs plus it keeps everything organized inside the bag. There is enough space for golf balls with the full-size golf ball pocket meaning that you won’t have to encounter interruption in your sessions. You can even tag along enough balls in the pocket to play for an hour or so. The bag is also comfy to carry around thanks to a lightweight design coupled with features like a padded dual shoulder strap and a breathable mesh. This design saves you the energy of handling its weight and you can instead focus more energy on playing game. Side pockets are a bit wide which can cause the clubs to bang against each other. 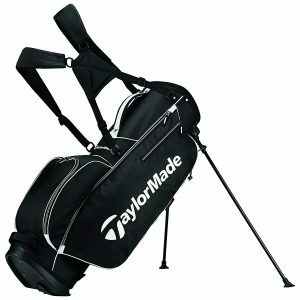 The TaylorMade Golf TM Stand Bag 5.0 is a bag crafted for those looking for a bag with a good amount of storage and comfort. 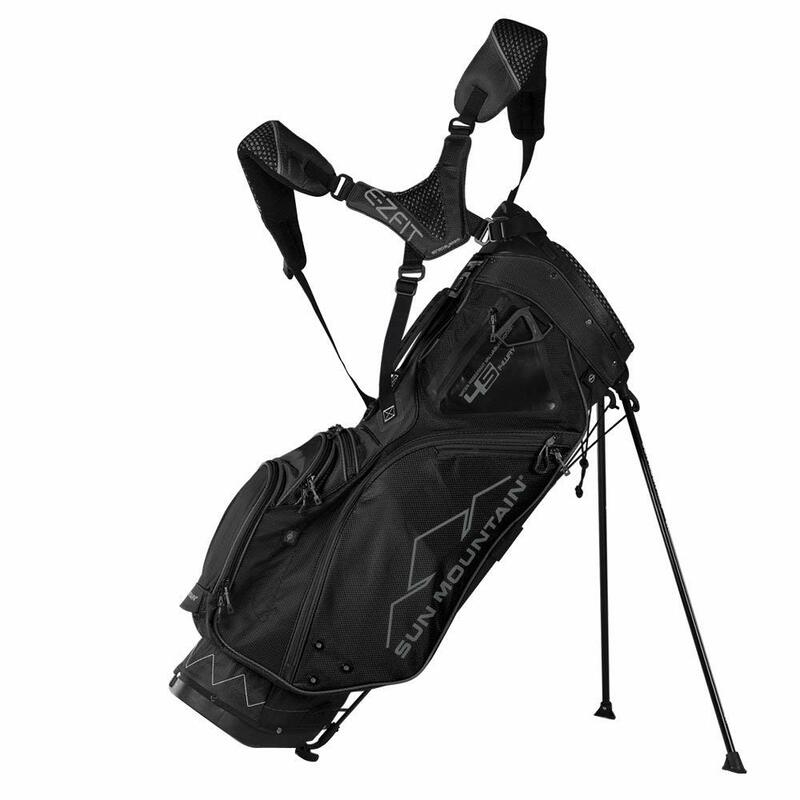 In matter of space, this stand bag comes with 6 pockets that include tee pockets and those pockets you will use for storing your golf balls as you play. It is powered by FlexTech, a technology that allows the bag’s base to hinge in the middle thus engaging an anti-split stand system. This is a system that actually affords golfers convenience and security in as far as loading and unloading the bag. This is also made quite easy thanks to a 5-Way divider top that will protect your golfing assets in the bag. The TaylorMade Golf TM Stand Golf Bag is also meant to keep you comfortable particularly when you have been on a golf course for hours and you are either walking, pushing or even riding with a lot of weight on your back. The comforting point of this bag is in the dual shoulder straps that have an air mesh, a design meant to give you comfort with all that weight on you. There is also an ethylene vinyl acetate (EVA) molded hip pad to reduce the pressure points on your backside. Lack of compartments for clubs means that they will tend to fall on each other. 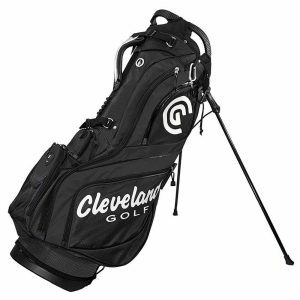 A product of Cleveland Golf, the CG Stand Bag is a lightweight golf stand bag that is a brilliant choice for golfing tours. The bag has a 14-Way divider that ensures that your clubs are safe in the bag not to mention that you can find and replace them without much of a hassle. The bag has a nice 3-way grab handle making it easy to move it around with a good grip on the bag. It has a custom grip leg and a base that is tailored for a cart. In fact, the bottom side has been engineered in such a way that it fits in well on a motorized and pull carts. It is a comfortable bag with a wide dual strap and a comfortable mesh hip pad. The CG Stand bag affords golfers a good number of options when it comes to organizing pockets. You will get a total of 4 accessory pockets that you could use to keep any extra items you want to carry around. Moreover, there are 2 apparel pockets that you can use to carry a light jacket and any other sort of apparel that can fit in there. The stand bag also has a valuables pocket which is a nice option when it comes to keeping your important items safe. For those hot days on the course, you will have a pocket you can use to carry a bottle of water or any beverage for that matter. To spice things further, the bag comes with a matching hood and umbrella which are good for traveling golfers or when playing on rainy weather. There is also space for your glove and other items like pens. Weighing just 4.5 pounds, the Sun Mountain Golf 2018 4.5 14-Way Stand Bag is yet another lightweight golf stand bag for the discerning players. It is a stand bag meant to give extra comfort during travel and long hours of maneuvering around a course while it is also a great option if you want to protect your coveted clubs. This bag has a lot of spatial aspects of the design. It has 8 pockets each fine-tuned for functionality. For instance, there is a full-length apparel pocket for storing things like jackets and other clothes. Additionally, it has a hydration pouch, a number of accessory pockets and a couple of valuables pockets. The valuables pocket have been designed for extra security given that is velour-lined with waterproof zippers so that you can enjoy golfing without worrying about getting what you value damaged. The golfing clubs are well-protected courtesy of a 14 divider system which is also great in keeping everything organized. This makes swapping clubs quite easy and fast. 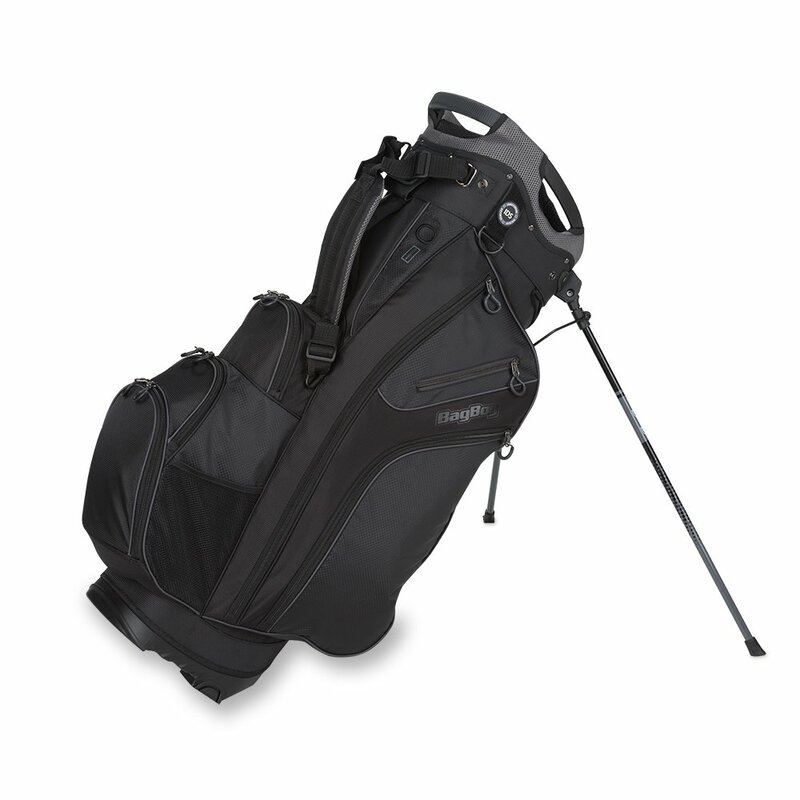 The mechanical design aspect of this stand bag is also top notch and one geared towards maneuverability and comfort. It is cart friendly features and an integrated lift-assist handles fashioned to lower the top and the pocket. The bag also features Dual carry straps for a comfortable carry on transit and in the course. The Bag Boy Golf 2017 Chiller Hybrid Stand Bag isn’t like any other stand bag in this list. This is a hybrid stand bag that blends the functionality of a standard cart bag with the portability of a stand bag but with some add on features. For starters, it has an insulated cooler bag which is a great way to carry and keep your drinks cool in hot days. The beauty is that this mini cooler bag can hold up to 4 cans of drinks which should be enough to keep you going for some time without taking a break from golfing. Like most other top stand bags in the market, the Chiller Hybrid has a good number of pocket options. It has 8 zippered pockets to be specific. Two of them are meant for oversized apparels, while there is a pocket for your balls plus an umbrella holder and a pocket to keep your valuables. Space aside, this bag has a 14-way divider system that makes it easy to load, organize and unload any of your clubs. The stand bag has lockable stand legs with feet designed to be slide resistant. It has also been designed for easy carting keeping in mind that it features a Top-Lok technology which is a system bespoke for a bag to cart attachment. The long clubs can block the view of the smaller clubs when the bag rests on the stand. 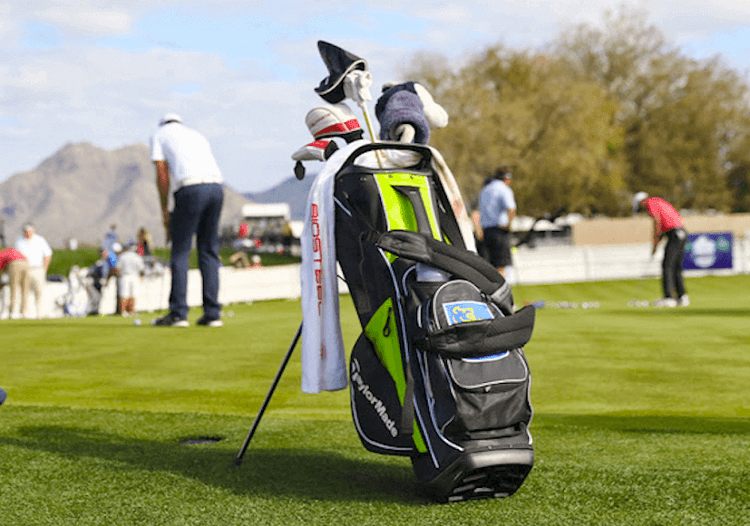 Now that you know one thing or two about some of the best golf stands bags, let’s look at some of the things to look at when picking the right one for your golfing experience. The first and most important factor to keep an eye on when shopping for a golf carry bag is the space and the protection features it offers. Space is definitely subjective depending on what you want to carry with you if you love traveling around the globe for golf and so on. Of course, the more space you have the better but it isn’t just about having more room for your stuff. There are other additional features like the design aspects of things like pockets and the protection it has for your coveted golfing items. A nice bag should be able to offer the best of both worlds i.e. space and protection for your clubs, valuables etc. When you have to carry a golf bag for hours in a golf course, you will get to know and appreciate the essence of comfort in a golf carry bag. This is the time when you begin to realize every bit of pressure point exerted on you. You need to buy a bag that you will be comfortable carrying on the course and on transit. One essential feature that has direct implications on this is the weight of the bag. You are better off going for the lightest golf carry bags in the market with extra comfort features like well-padded shoulder straps. There are other design features that aid comfort as well. For instance, you can opt to buy a bag with features like a nice soft handle grip, a good carting system etc. One of the most confusing aspects to novice golfers has got to be the carts in golfing. Most players tend to get lost when it comes to types of golf bags and their compatibility with a push or pull carts. First it important to note the differences between stand bags and cart bags. Cart bags are specifically designed to be wheeled on a golf push cart while stand bags are not. Stand bags have a retractable leg which could be damaged when used with carts. That said, you can use the bag with a cart, albeit with caution on protecting both. This is where cart compatibility comes in as most golfers will buy a nice stand bag but end up trying to use it with the wrong cart. To avoid this kind of scenario, find out if the stand bag you wish to buy is compatible with the cart you have or you wish to buy as well. Durability is definitely a factor to keep an eye on, not just when shopping for carry bags but in most other items you buy. You don’t want to buy a bag only to use it for a short time. You would rather buy a bag that you can use longer but finding one is easier said than done. Durability will vary depending on the design aspects of the stand golf bag. This includes features like the type of material used in fabricating various parts of the bag, the mechanical design etc. Long story short, try checking for trusted user reviews on the bag to find out if the bag has a reputation in the realm of durability. Price is also a factor that determines the golf stand bag to buy. High end and expensive stand bags are cut for luxury but that doesn’t mean they are the best options. There are good bags going for under $100 depending on what you are looking for. Golf is a luxurious sport though, so don’t go down too low on the price. That’s about it for our best golf stand bags review! We have looked at 5 top carry golf bags concluding why these brands have stood a cut from the rest. This is just the tip of the iceberg. There are many other great options you can look at in the market. In this regards, our buying guide should help you sieve through the cluttered marketplace to find a stand bag that will suit your preferences.